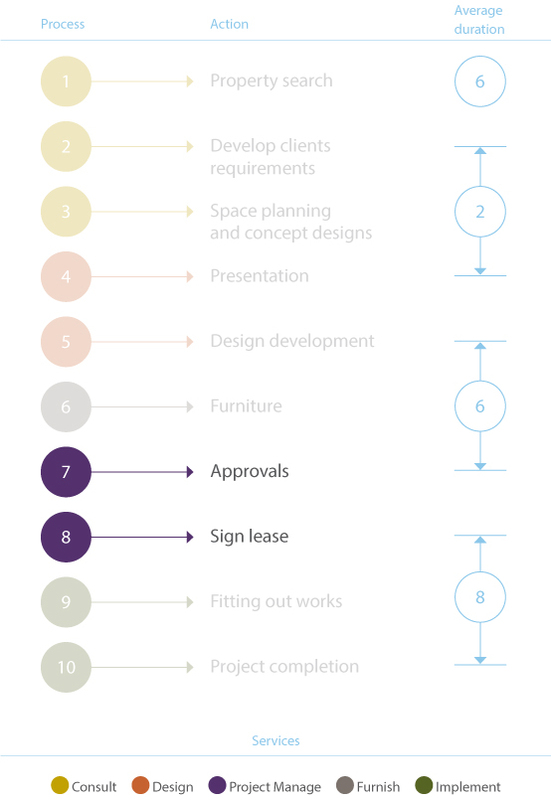 The Project Management team at Workspace provides an end-to-end commercial relocation service, from premises negotiation and landlord approvals through to interior design, refurbishment, office fit-out and budget management. The foundations are built upon solid communication, with both clients and contractors. We focus on understanding goals and anticipating needs, ensuring that time, cost and quality objectives are achieved on each project. Workspace has a network of resources, available from both within the business and externally. Our core team understands the current commercial property market, construction project management and the technical challenges this brings, leaving a ‘no stone unturned’ approach. We are passionate and meticulous about our work, always dotting the i’s and crossing the t’s. This has invariably strengthened our aspirations towards creating long-lasting relationships with our clients. Coordinate submissions of designs and information to obtain landlord approvals. Prepare budgets and manage the tendering process. Cost reporting and controls. Carry out due diligence on specialist contractors.